During our travels we see many odd, funny, exciting or wonderful things. On this page we share some of these with you. Keep looking (updates are placed at the top of the page). Photos are clickable for a closer view. Moving on from Alamogordo we went to Las Cruces, the oddly named town of Truth or Consequences, and Elephant Butte Lake. All had their good points. When we jumped off the steps at the Museum in T or C, we didn’t shout Geronimo! But, we should have. It was the Geronimo Museum. For all of his reputation, he was only a small man as the life-size wax model of him showed. Next, we traveled to Benson. We took a day trip to Tombstone and what a treat! Boothill, Gunfight at O.K. Corrall, stagecoaches, wagons, the history was magnificent. This is a must-see for everyone. These headstones were typical of the many graves at Boothill Cemetery. We had lunch at Big Nose Kate’s restaurant (seen behind the stagecoach driver). She was the close friend of Wyatt Earp. The whole town was so authentic. Now, we’re south west of Tucson, which is 8 miles away. This is a great RV park, backing onto Tucson Desert. We have walked many of the trails, especially an old Indian trail to the mountains. We aren’t leaving until Monday. We’re in Alamogordo, New Mexico waiting out very windy conditions. The winds are gusting upwards of 40 mph stirring up dust, making visibility very poor. Being in a desert type region, this does happen from time to time. 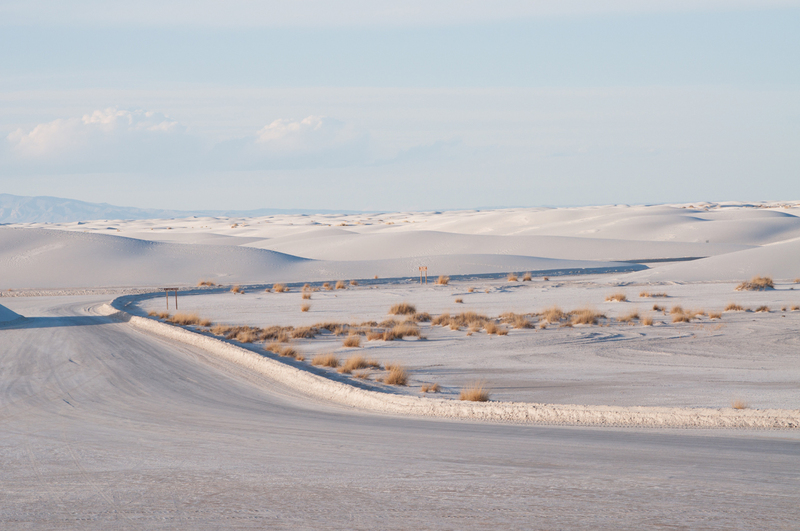 The desert that edges Alamogordo consists of pure, white sand, formed from gypsum. Entering the town from the Sacramento Mountains, it looks as if it is miles and miles of snow. White Sands Desert is so vivid that it was easily recognized by astronauts traveling in outer space…..read the full story and slide show click here!